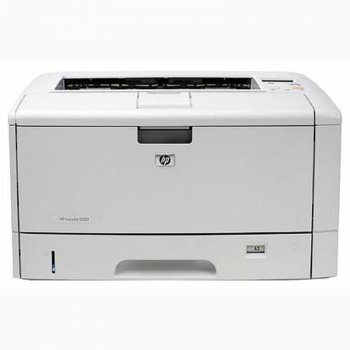 HP LaserJet 5200 printer model, designed primarily for medium-sized office. Has a maximum load print 65,000 pages per month. It uses a black-and-white laser printing system, with speeds up to 35 pages per minute. With a maximum print format A3, who neither knows it 297 420 mm Maximum print resolution he is 1200 x 1200 dpi. This is enough to get the quality printing. LCD multi-function panel help more comfortable to work on it. As for the connection, you can connect it to the network via Ethernet. Power consumption when the printer is 600 watts, while in standby mode, only 27 watts. The noise level when the printer is small 54 dB. Dimensions are HH mm, weight 31.2 kilogram.